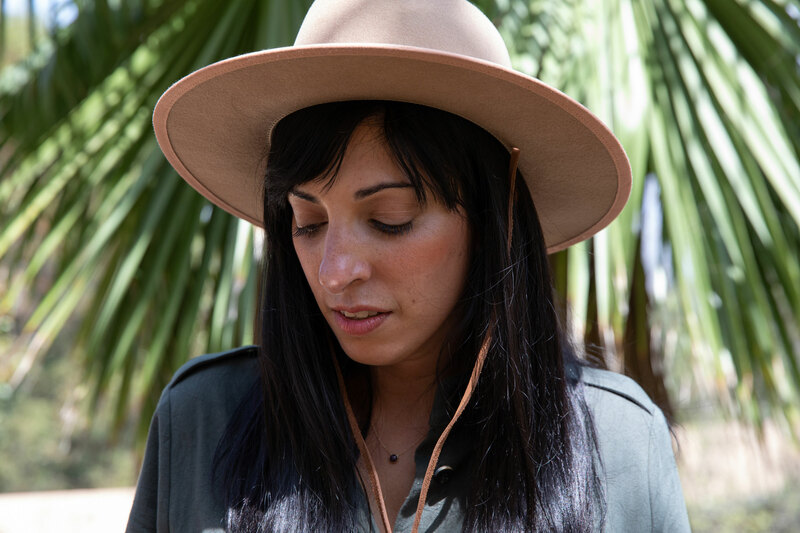 As the Director of Editorial Projects for goop, much of Nandita Khanna's professional world involves the articulation and distillation of themes and observations into stories. In her own life, she's noticed an arc in the narrative in the last year as she moved from New York to Los Angeles. Sometimes, she explains, a physical move is what it takes to bring you the clarity you didn't know you were looking for. 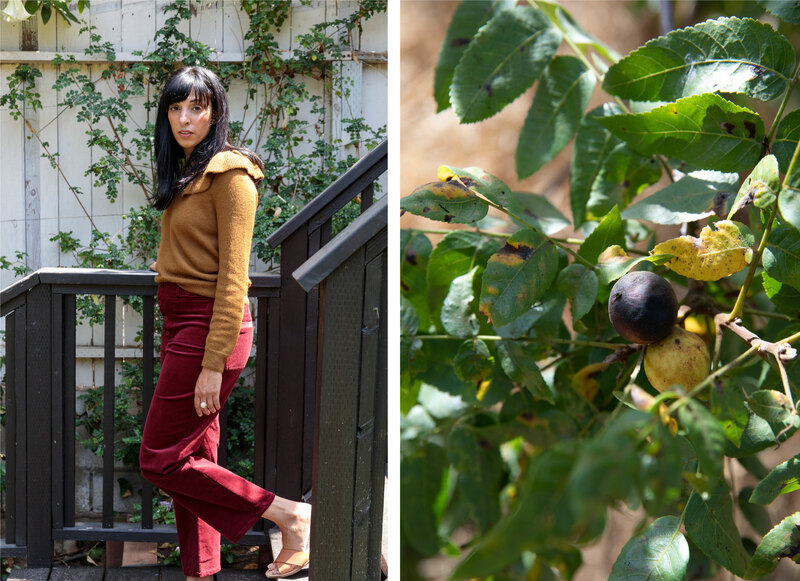 For Nandita, it's resulted in an openness to vibrancy, both in the landscapes around her and the styles she gravitates toward. In what moments do you feel like the truest version of yourself? Normally I would answer: When I’m with my closest friends and my family. 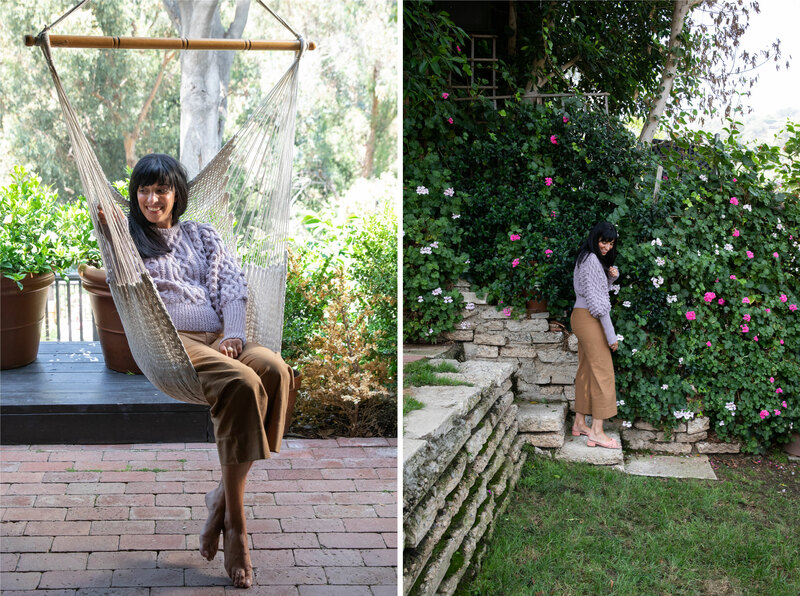 I’m an incredibly gregarious person; it doesn’t matter what we’re doing—it can be spending an afternoon reading at the beach, on a hike, or at a dinner party, which is particularly fun here in LA where people have dreamy little outdoor spaces. On the other hand, I’ve found a lot of freedom in spending time alone. Before I moved to LA, people warned me how isolating it could be, particularly if you moved out here on your own, as I did. But I really took it as a way of challenging myself, to explore some of the initial “discomforts” of doing things I’d normally do with a significant other on my own, be it having dinner alone at the bar or spending an afternoon at a coffee shop reading. And now I really relish in that time...I’ve started to treat it as a luxury. In my friendships and relationships, I tend to put others before myself, and in a way, I’ve been challenging myself to think about what I want more. Giving myself the space for self-reflection. It’s not always easy, especially when you’ve been a certain way for so long, but I’m becoming more comfortable with it. You moved to LA after a decade in New York. How has swapping coast for coast affected, if at all, your perception of and an approach to style? By the time I entered my 30s, I was becoming more comfortable exploring my evolving definition of personal style. A lot of that was inspired by Jenna Lyons, whom I worked for for 4.5 years at J.Crew. I realized that for years I dressed for my job, and to represent the brand I worked for. It was fun, of course, to be in your 20s in New York, working in publishing and going to events all the time. It also meant a lot of late nights spent teetering around in heels. I started to pare back my wardrobe a lot, focusing mainly on a palette of navy, black, grey, and lots of poplin. It felt simpler, in some ways, since there was so much vibrancy around me. It also felt easier to blend in. When I moved to LA, I started to feel really inspired by the ease of dress around me. The weather obviously helps...but it felt like I finally had some space to re-think how I wanted to dress, and the kinds of pieces I felt the most comfortable in. So I started picking up a lot of printed blouses that felt feminine — always in soft colors, like peaches and pale blues, white lace, with feminine details like a puff shoulder. I’ve built up quite a collection of high-waisted vintage Levi’s...I appreciate how at ease, and how comfortable so many of the women I have met in LA are. Less make-up, less fuss...I’ve certainly started to buy more of what I love, what I know I’ll truly wear, versus buying something just because I read about it in a magazine or saw it on someone else. What colors, shapes, or textures resonate most deeply with you? It’s hard not to be inspired by the landscape of LA — there’s so much terracotta, blonde wood, pinks, and blues. And then just the diversity of landscape: You see something really differently when you’re walking along the beach in Malibu than you do when you’re up in the hills in Laurel Canyon. I love army greens, rust colors like tobacco, but also pale pinks and lilac. I’ve started wearing more red—both deep burgundy and then a more vibrant orange-y red. From a broader sense how has a change in the place and lifestyle of where you lived reflected any other interior, emotional changes or growth? I’ve realized that with big change comes an opportunity to reinvent oneself. I wasn’t trying to change who I was at my core, of course, but I was able to experiment a little bit with how I wanted to be seen and perceived. It all coincided with this moment in my life when I was meeting new people and trying to carve out a niche for myself, to create a community and a network, something that was so important to me and anchoring to me when I moved here. I’m always challenging myself to pull myself out of my comfort zone even when it’s painful, and to keep an open mind and an open heart. I recited that phrase a lot to myself in the first year I lived here, “Open head, open heart.” It’s now so deeply embedded in who I am as a person, but it feels really good to have taken the risk, taken the leap of faith, and to have come out the other side just fine. What women or characteristics in women inspire you most deeply? Confidence. Curiousity. Self-assurance. Empathy. And of course, the willingness to shake things up, too; women who are disrupters of the status quo.